What’s holding you back from your first deal? Afraid you will mess up the deal? Mess up your life? How do you work through your fears so you can succeed? Our special guest speaker for August is Leslie Mathis. 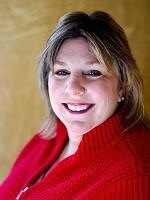 Leslie is a published author, teacher, trainer, and mentor. For the better part of thirty years, Leslie has studied wealth creation and harnessing the power of the subconscious mind to obtain goals not only in real estate, but in every area of life. She will be discussing how to overcome fear. If some fear is holding you back from succeeding, you need to be at this meeting. The Atlanta REIA Beginning Investors Group (BIG) is a new educational and networking special interest group for new investors who are just getting started in real estate investing as well as “new again” real estate investors who’ve taken a few years off and are looking to start investing again. BIG will be hosted by beginning real estate investor, Alan McDonald, who will be bringing in local real estate experts to teach new investors how to survive and thrive in our ever changing economy and real estate market. The entire purpose of this group is to help new investors get their first deal and help new again investors get their next deal. BIG meets on the 4th Wednesday of the month from 6:30 PM to 9:00 PM at 5 Seasons Brewing at the “Prado” located at 5600 Roswell Rd in Sandy Springs just inside the Perimeter. BIG is a “dinner” group and we kindly request that you buy dinner since 5 Seasons allows us to use their meeting room at no charge. There will be lots of learning and lots of networking. Bring your deals and your haves, wants and needs to the meeting for discussion.